Massachusetts Attorney General Maura Healey is joining with her New York counterpart in refusing to comply with a congressional subpoena seeking records from their investigation into whether Exxon Mobil misled the public about its knowledge of the detrimental effects of climate change. The records are being pursued by Congressman Lamar Smith, chairman of the House Committee on Science, Space, and Technology, from Healey, New York Attorney General Eric Schneiderman, and nine environmental, scientific, and philanthropic organizations. Healey and Schneiderman are investigating whether the petroleum giant knew decades ago that petroleum contributes to global warming and suppressed that scientific evidence. Schneiderman sent a similar response to Smith on Tuesday. Smith accuses Healey and Schneiderman of chilling scientific free speech with their investigations. Healey and Schneiderman began investigating Exxon after a nonprofit news organization, InsideClimate News, published a series of reports in 2015 on Exxon’s research into climate change. The reports said the company’s researchers knew as early as the 1970s that burning fossil fuels could cause global temperatures to rise, possibly leading to “catastrophic” environmental problems. Exxon researchers also developed timelines for those impacts, according to the InsideClimate News reports. 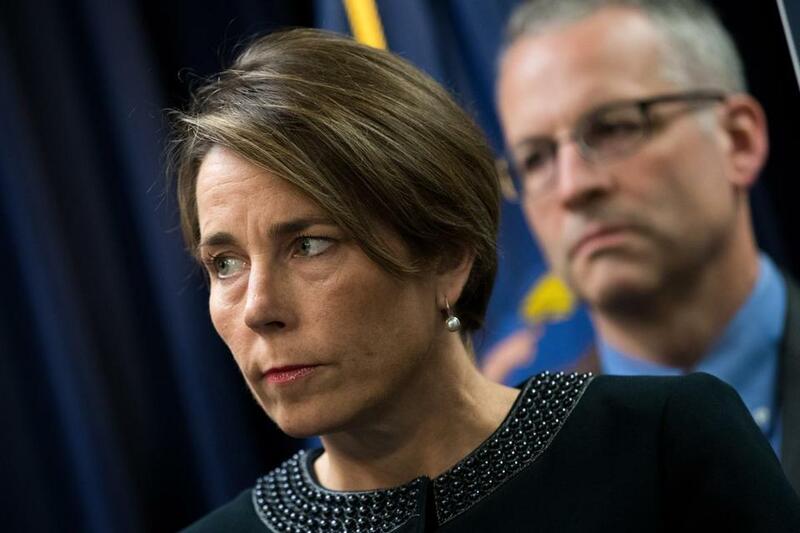 In March, Healey announced that her office would investigate whether Exxon adequately disclosed its climate change research to investors and consumers. It’s unclear what happens next in the confrontation between Healey and Smith. Typically congressional committees can seek to hold subjects of a subpoena in contempt for refusing to comply. But Healey has questioned whether a congressional committee even has the authority to subpoena records of an ongoing investigation by a state official. Smith, who has expressed doubts about climate change, has issued numerous subpoenas for research into global warming, including to the National Oceanographic and Atmospheric Administration, which last year refused to turn over documents. One of Smith’s committee colleagues, Congresswoman Eddie Bernice Johnson, has criticized his subpoenas as “a fishing expedition” and said that “NOAA, rightfully, has been reluctant to waste their time and resources” responding to them. Material from the Associated Press was included in this report. Sacha Pfeiffer can be reached at pfeiffer@globe.com. Follow her on Twitter @SachaPfeiffer.